Being associated with leading rental brands across the world, Vipcarsrental.ru presents rental deals for more than 16000 locations worldwide covering top airports and their cities. We give you major pick up and drop off locations in Europe, Asia and America. Given below are the key pick up locations listed by us all over the world. For more locations, use our booking form given on the left hand side. 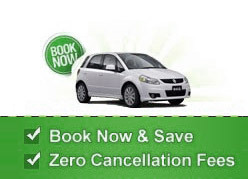 Just select, search and book your car rental with us.